Are you one of many millions of people suffering from allergic rhinitis, hay fever and other nasal allergies highlighted by pollen? Using red light therapy to suppress the cells that release histamine, allergy relief machine provides a safe and easy to use way of relieving irritating symptoms such as runny nose, sneezing and watery eyes, in just a few treatments. 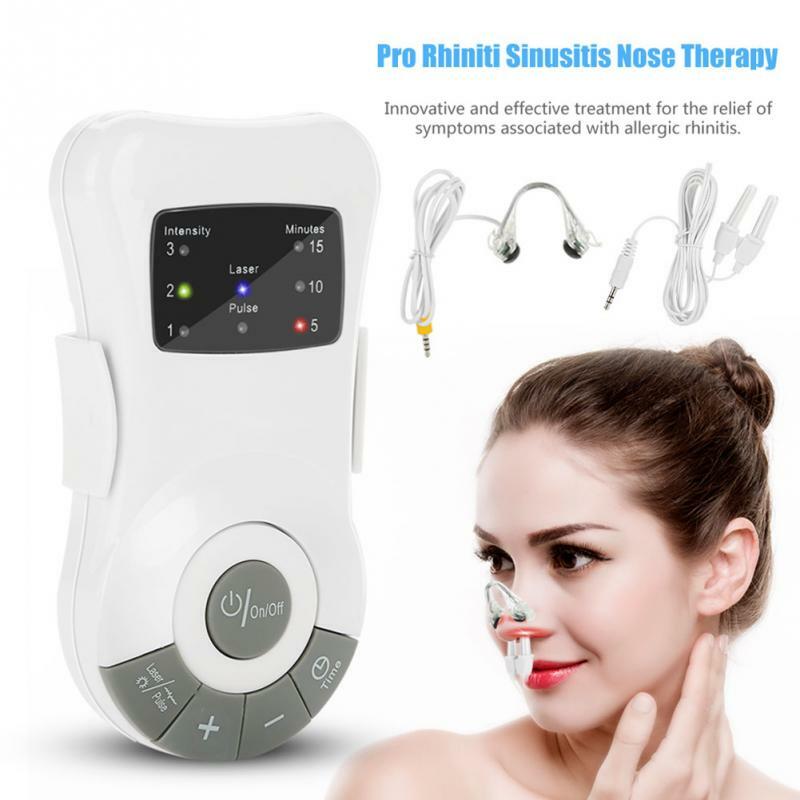 If you are wondering how to get rid of allergies the natural way, this device uses two light beams set at a specific frequency to combat allergic reactions. The beams are fired up the nostrils where the light inhibits the cells that release histamine, which causes sufferers’ hayfever. The natural allergy relief machine is pain-free and its makers say it has no side effects, unlike some drugs. Red nasal light is said to have an antihistamine effect, acting directly on the membranes within the nose to reduce histamine production and act as a rhinitis treatment. Natural remedies for allergies such as this one are easy to use. Put the light emitting probes into the nostrils for three minutes, three to four times a day. A clinical trial showed 72 percent of patients had a reduction in symptoms. No Medications Needed - Designed to give you respite from the symptoms of allergies and Hay Fever, without the need to take daily medications. No Side Effects - Drug-free allergy relief avoids side effects, giving you something you can use whenever you need it. Easy Controls – 6 modes of intensities to select.